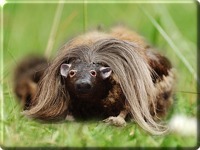 The wild haggis is a shaggy, four-legged mammal with one set of legs longer than the other. While this feature allows the animal to quickly tromp around the steep mountains and hillsides of its natural habitat, it is a double-edged sword since it restricts the wild haggis to movement in just one direction. There are two different varieties of haggis, one with a longer set of right legs that can only run counter-clockwise, and one with a longer set of left legs that can only run clockwise around the Highland hills. The two varieties co-exist peacefully, but they cannot usually interbreed in the wild, since a male of one variety must turn to face the same direction as a female of another variety in order to mount her. 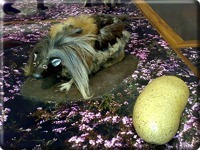 When turning, the male haggis often loses his balance and tumbles down the hill before he can breed. On the rare occasions that the male haggis is able to accomplish this incredible balancing act the offspring produced from a union of two haggis are so unstable that they often tumble helplessly down the hills and right into a hunter's net. There are many places in the Highlands that offer tourists a chance to search for the haggis in the creature's natural habitat. Tourists, however, are forewarned that the haggis rarely come out during the day, and to catch even just a glimpse of one is extremely lucky. The Scotsman newspaper even runs an online haggis hunt, where entrants can win prizes such as a trip to Scotland if they manage to spot a haggis on one of the site's may webcams that monitor areas where the animals have been known to live. 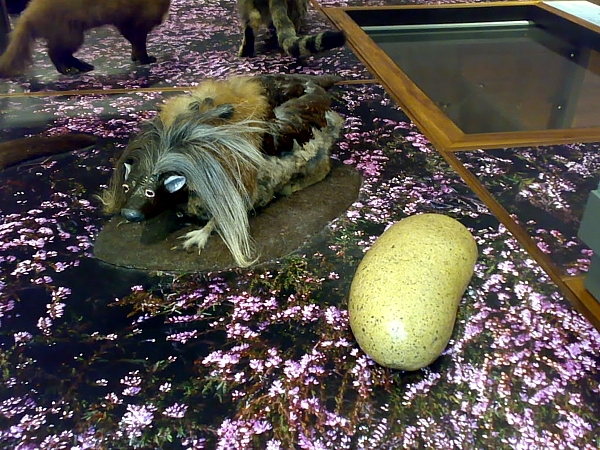 Several herds of haggis roam the interior of the Caledonian Forest, feeding on fallen pine kernels and mint leaves, which is said to add a distinct flavour to their meat. 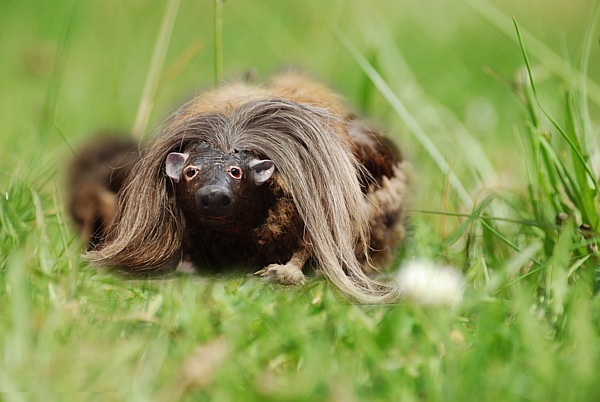 If you happen to be lucky enough to encounter a wild haggis in broad daylight, there is one trick you can use to try catch it: as it runs away from you, chase it around the hill in the opposite direction. It won't be able to turn around.